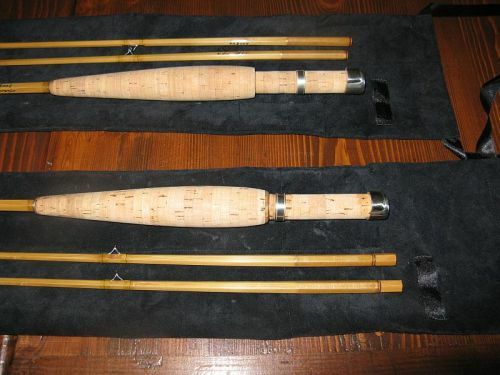 This demonstartion rod is a 7' 2" two piece double tip rod which casts a 3/4 weight DT line. Excellent for dry fly fishing. The action is a progressive tip. Bamboo ferrules, all cork grip and reelseat. It hase been fished about three times and used for demostrations at exhibitions. Comes with a rodbag and if you want with a wooden rodtube at a small extra cost.